There are some great dates for Spring and Fall 2019. Please review the calendar for Spring and Fall availability, two night minimum. 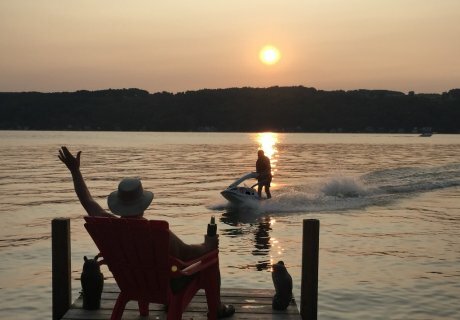 The only Summer 2019 week left is Sunday July 28 to Sunday Aug 4, 2019. Thank you to everyone who has reserved vacation time at "Serenity on the Bluff" for the upcoming 2019 season. 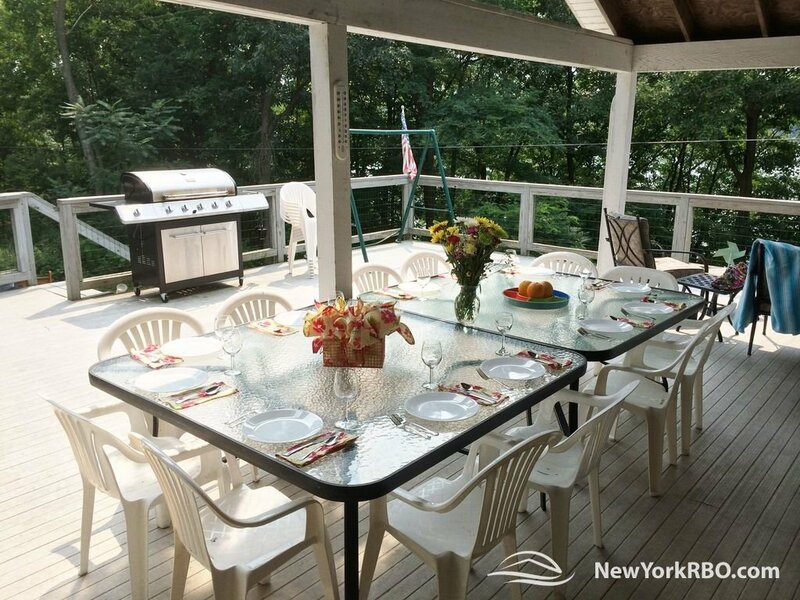 "Serenity on The Bluff" is a spectacular vacation rental home for your vacation, family reunion, anniversary, destination wedding, get together with friends, academic or corporate retreat. Jetted Hot Tub Spa: Arctic Spas, Tundra, 8'by 8', 500 Gallons, 7 Person. Free WiFi High speed cable from a dual router. For larger groups, please rent my home next door,'Tranquility on the Bluff'. 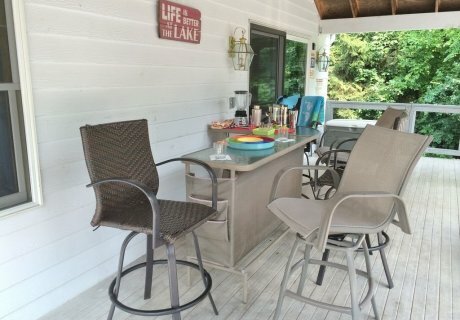 Listing title "Awesome Lake Front Home Central AC, Hot Tub and Fire Pit" (listing #83). 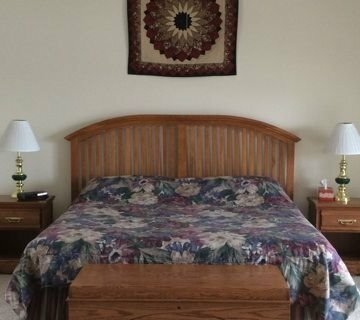 With the two homes, there are beds for thirty two people. Also Known as "Serenity on the Bluff", the home received its name because it is located in an area of Yates County known as Bluff Point. 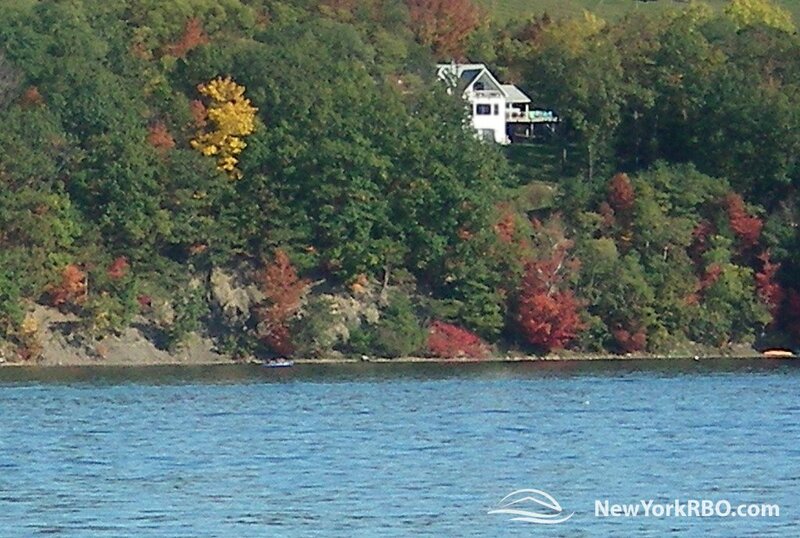 Bluff Point is the peninsula what separates the East and West branches of Keuka Lake. 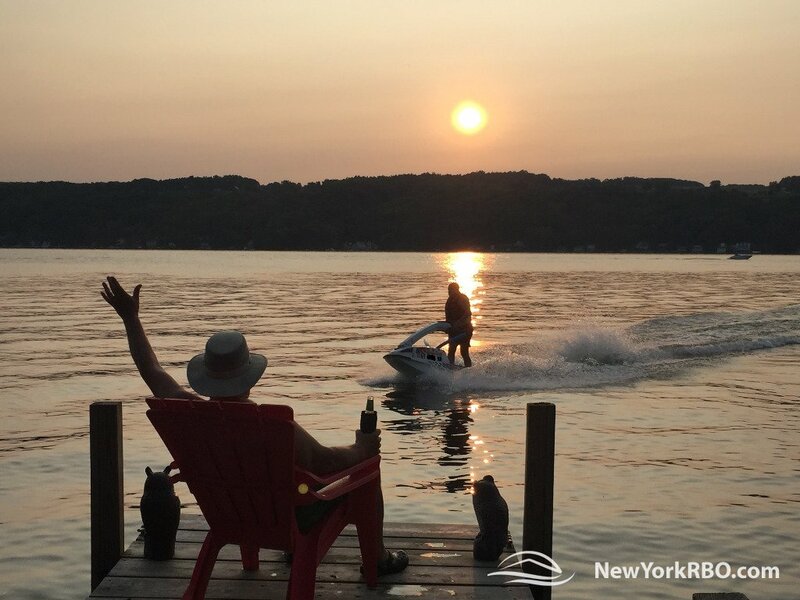 Long ago the shores of Bluff Point were covered with vineyards and dotted with steam boat landings to ferry people and agricultural products to the three towns on Keuka Lake. Over time the vineyards were abandoned and were gradually replaced with campsites, seasonal cottages and year round homes. "Serenity on the Bluff" is a spectacular home your for next vacation, family reunion or corporate retreat. 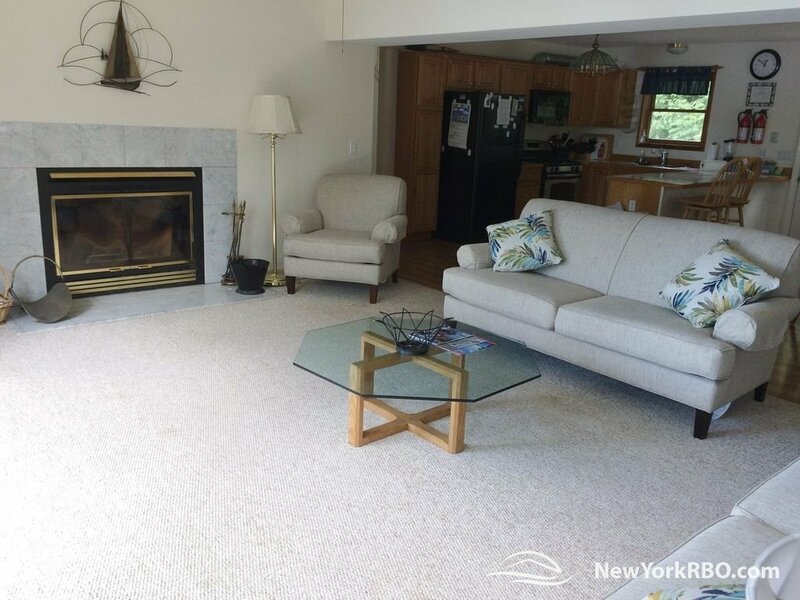 This home was built in 1999 and has approximately 4000 square feet of living space. 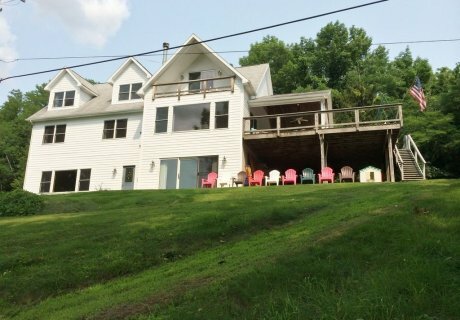 The home includes six bedrooms, four full baths, a large living room, dining and kitchen area, recreation/game room, and a huge partially-covered deck. This home faces West and is located near the tip of the peninsula that separates the East and West branches of Keuka Lake. 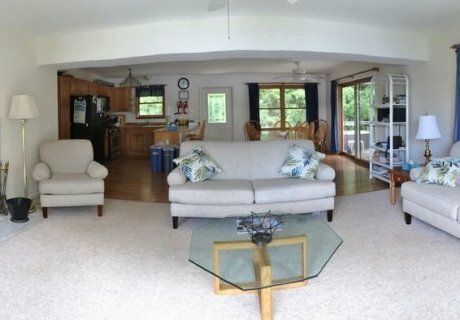 The main floor has an open floor plan, that included a large living room (with a wood fireplace), dining area, and kitchen. 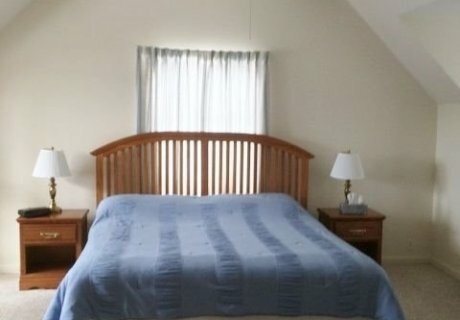 In addition there are three bedrooms, each with its own queen-size bed. 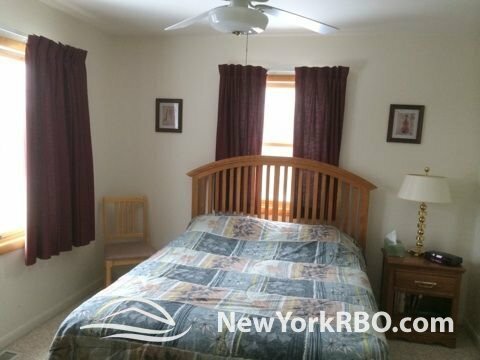 Two of the bedrooms face the Keuka Lake. 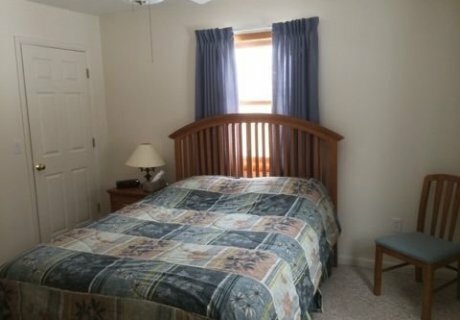 The third bedroom is on the wooded side of the home and has its own private full bathroom with a shower. Off the main hall is a full bathroom with a tub/shower. 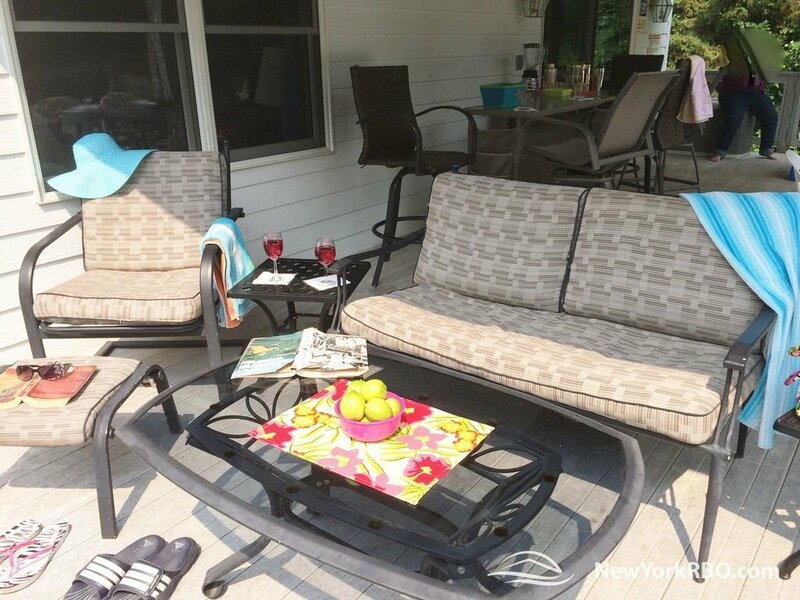 Adjacent to the dining area is a huge, partially-covered deck. 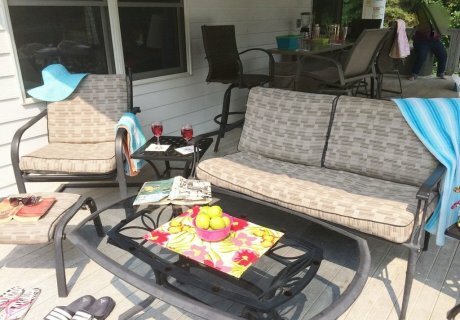 The deck is furnished with tables, chairs, bar set, charcoal grills, play houses for children and the jetted hot tub. 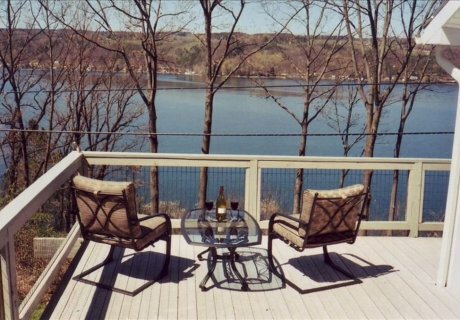 Around the deck is a railing/fence with latch-able gates. 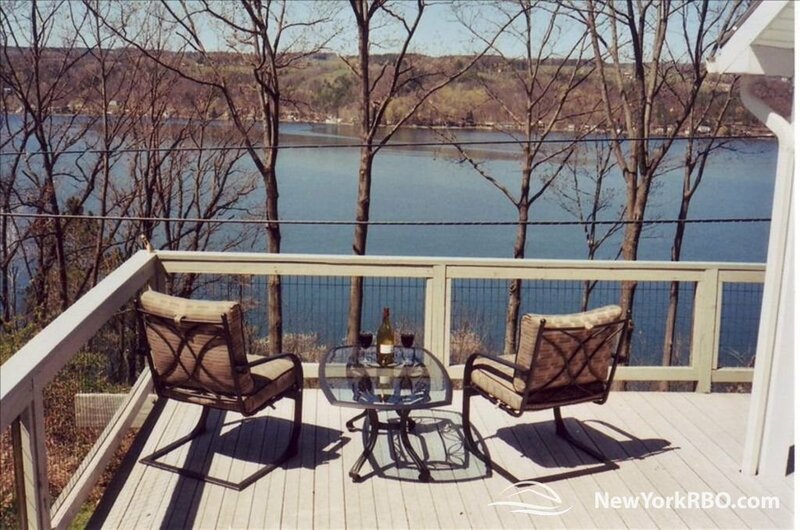 The deck faces the Keuka Lake and is fantastic for dining, relaxing, and enjoying the breath-taking Keuka Lake sunsets. The upper floor has two huge bedrooms and a full bath with a tub/shower. 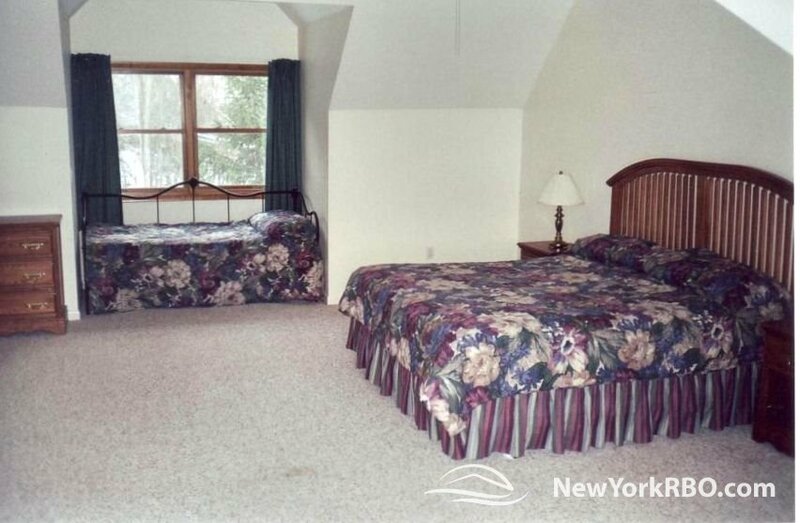 The master bedroom has a king-size bed, day bed with a trundle and a private covered porch that faces the Keuka Lake. 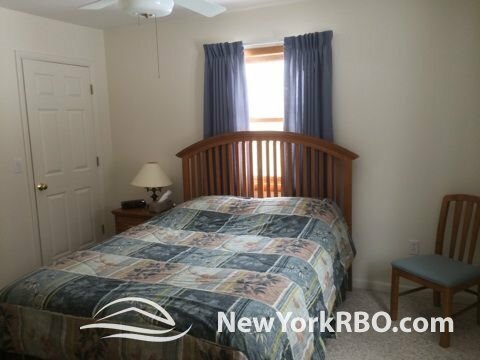 The second bedroom has a king-size bed, day bed with a trundle and faces the Keuka Lake. 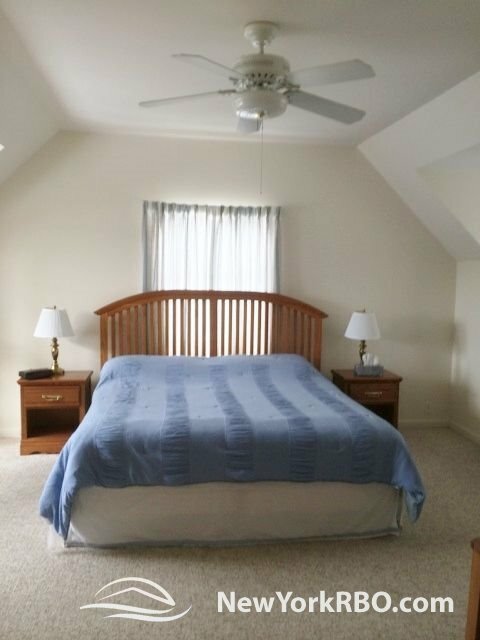 The lower level has another master bedroom, a semi-private full bath with a shower, laundry room, and recreation/game room. 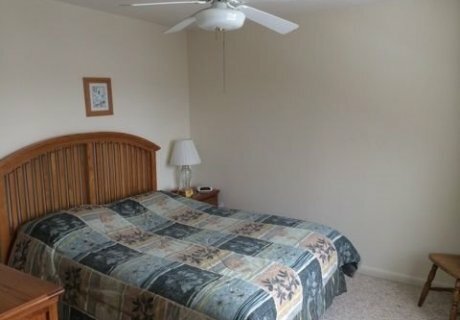 The master bedroom has a king-size bed, a propane fireplace, and a sliding glass door that faces the lake.The recreation/game room is equipped with two day beds with trundles, a children's play kitchen, book and video library, game table, Foosball/table soccer, a full size arcade game Road Blasters, toys, games and puzzles. 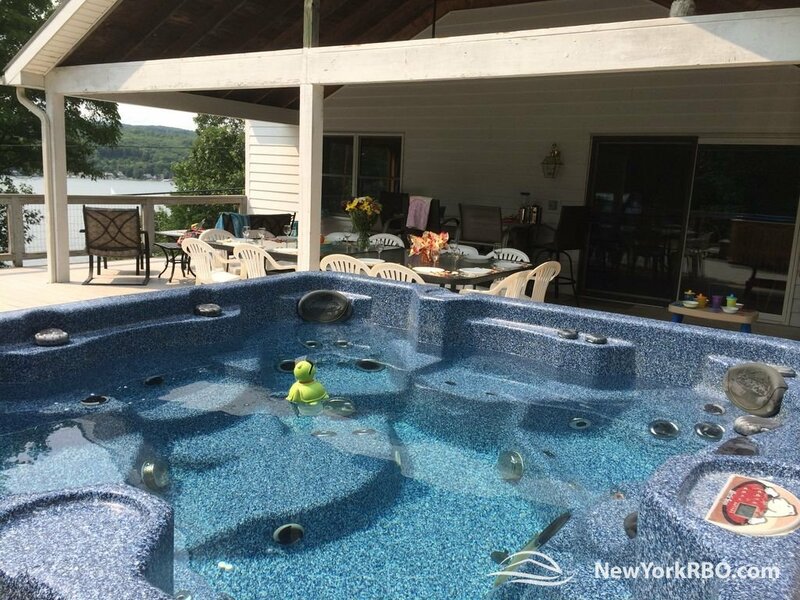 Additionally, the recreation/game room has a large picture window facing Keuka Lake. The home and yard is surrounded on three sides by woods. There a large off-street parking area for at least nine vehicles. 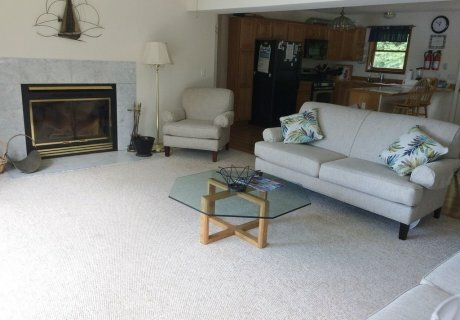 The parking area is at the end of a long semi-private driveway and within 20 feet of the home. Also, adjacent to the deck is a fire ring surrounded by benches. 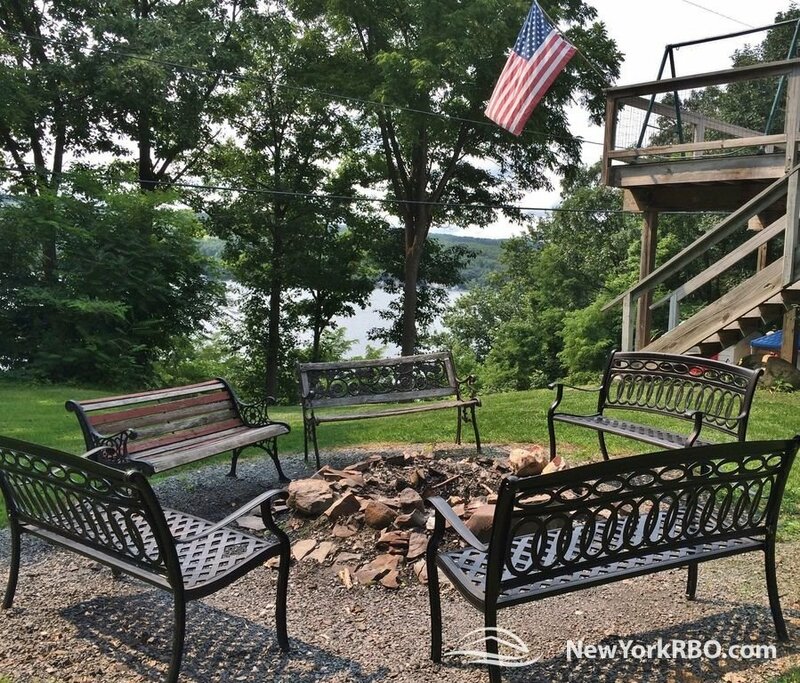 This is a fantastic place to spend a romantic evening or to gather with your family and roast marshmallows under the stars. 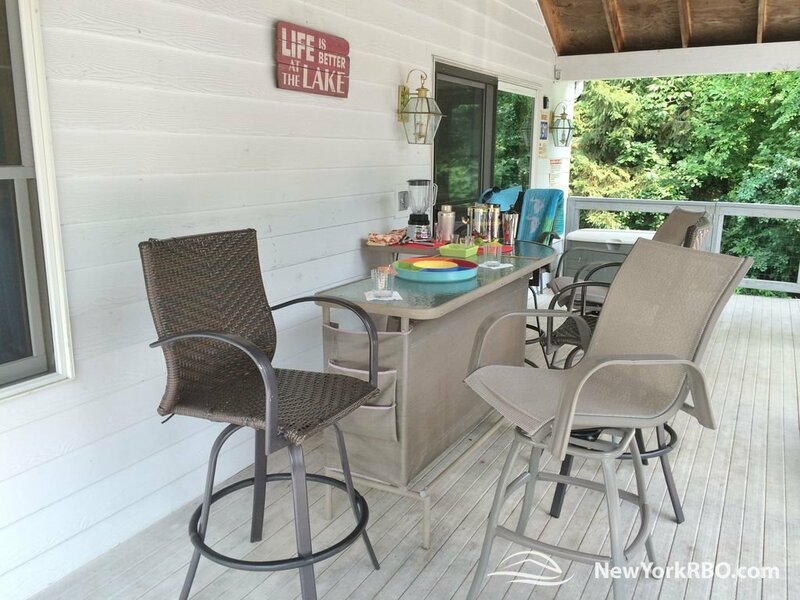 Access to the lake is located in front of the home via a path and stairway with 128 steps and four landings that weaves around whispering pines and culminates on the 40 plus foot long dock. 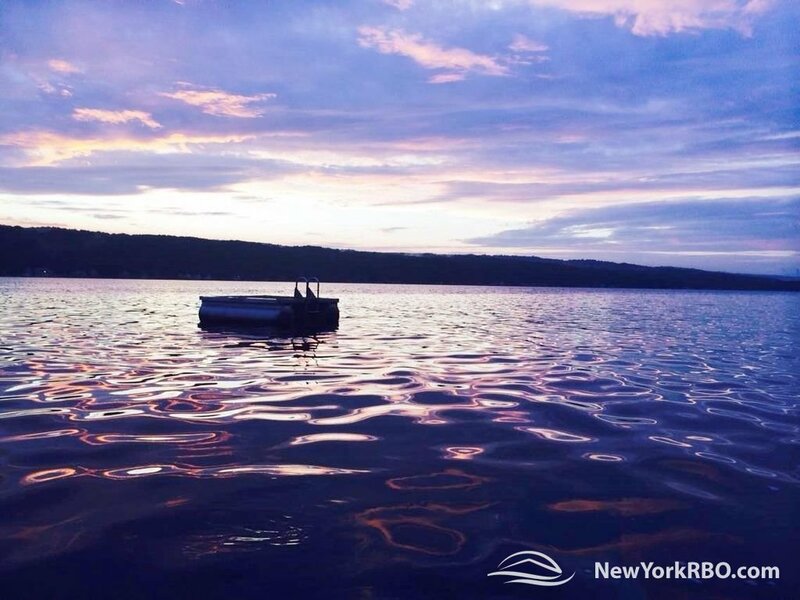 The shoreline is natural and unspoiled, including a dock, and swim raft. From the shoreline the water has a very gradual increase in depth as one walks into the lake. 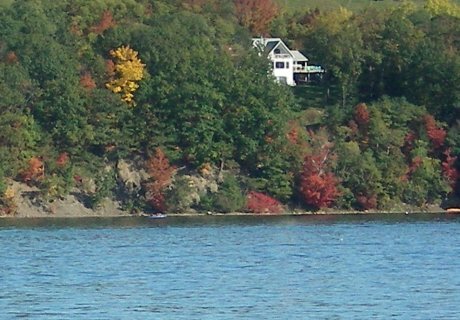 The lake bottom is hard and consists of shale, stones and rocks of various sizes. Water shoes, sneakers or other foot protection are a recommended due to the shale and zebra mussels. 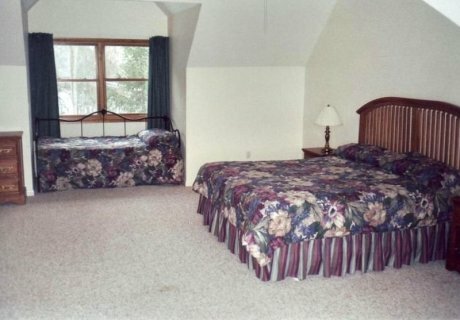 Accommodation Information: Bed summary: Three Kings, Three Queens, and Eight Singles. The home includes; comforters, blankets and pillows. 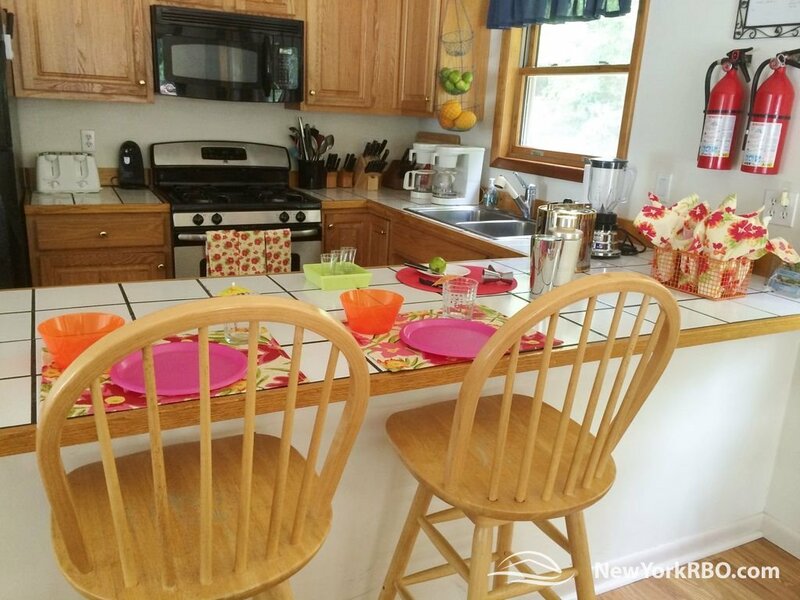 The home does not include linens or towels. 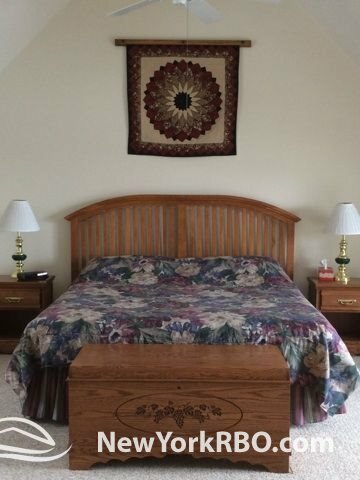 Guest are welcome to bring their own linens or rent a linen package. The linen package includes; bed sheets, pillow cases, bath towels, beach towels and face cloths for 20 people. Peak Season linen package rental is $200.00, $10.00 per person off Season, Preseason, or Post Season the cost is $10.00 Per Person. Please request linens prior to arrival. 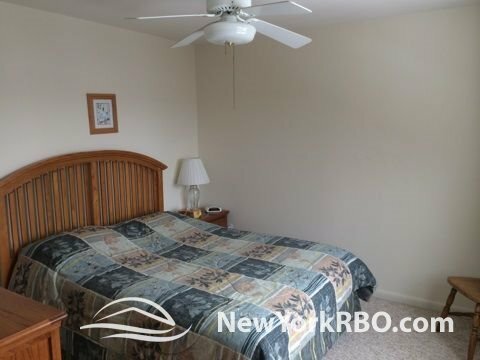 There is a 4% Yates County Lodging Tax on the rental fee, house cleaning fee of $175.00 and a refundable security deposit of $400.00. 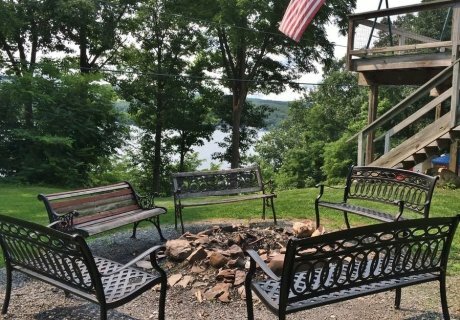 "Serenity on The Bluff" is a spectacular vacation rental home for your vacation, family reunion, anniversary, destination wedding, get together with friends, academic or corporate retreat. You will feel far away from the rest of the world on this very private lake front estate. Please do not turn onto Broadview Heights Drive. The driveway is off West Bluff Drive. Full refund up to sixty days before arrival. Thank you again for opening your home to us. We had such a great time! The house is just beautiful. Plenty of room for all of us. We couldn't of had a better time. We decided to take a week long vacation while attending our daughter's graduation from Alfred University, and boy where we happy. 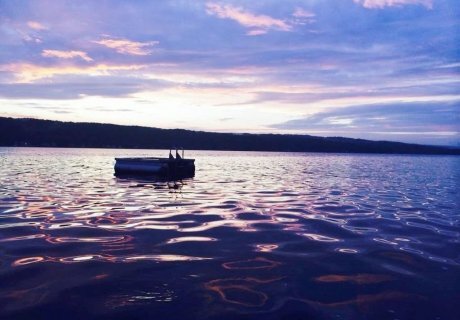 Prior to this week, we had never stayed in the Finger Lakes area. 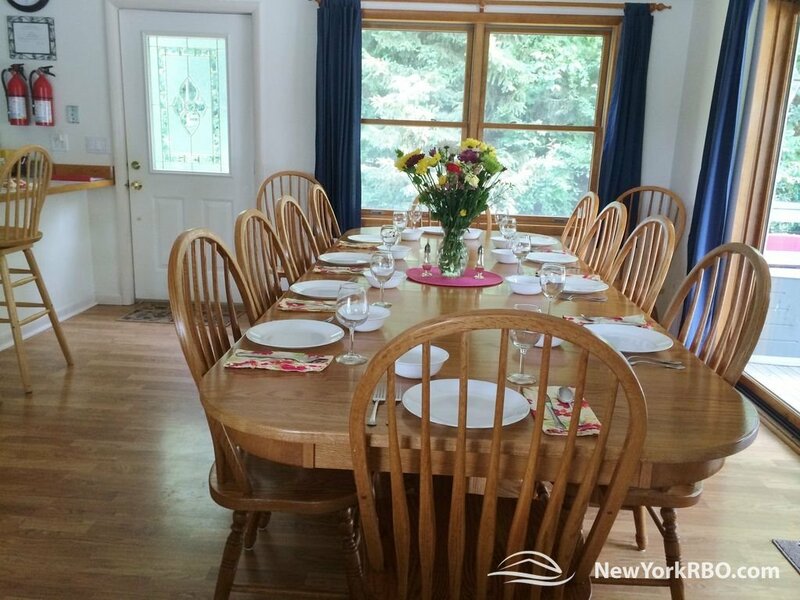 This house is more than you will expect from a vacation rental. It comes very well stocked and clean. We found it to be very large and comfortable, and the views make it spectacular. The hot tub increased our relaxation. We also found the surrounding area beautiful. The hills are peppered with some of the best vineyards in the world. There are more than enough to keep you busy, if you choose. Also, all of the meals that we had at the local restaurants were delicious, and that's coming from a guy who loves to critique restaurants. We are looking to another great stay in a magnificent area! This is our third time renting this lovely property. It is very clean, well equipped and quiet. We had 13 ladies staying at the house and had plenty of room. 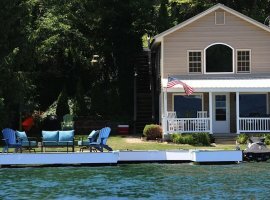 It is secluded and may seem out of the way, but the view of the lake and the quality of the rental is worth it! If you like to cook in to save money for meals out, this is the place for you. The owner has it well stocked with a hot tub, TV, games, toys, etc. The sunsets are awesome! We are planning to make this an annual event. Just came back from this place 2 days ago. 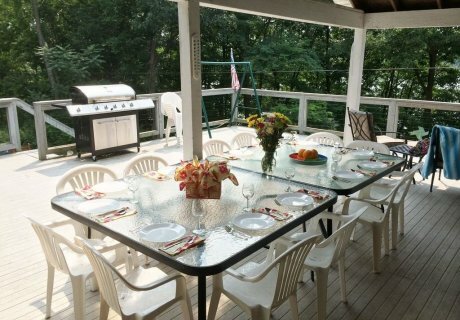 Rented this place for a friend and family reunion. A very special thanks to Bill to let us stay in this place. We all had pretty much a dream vacation. Great house. Everything was there. I will surely go back. We have been renting this place for 6 years now ans every year is a blast. No matter what the weather it is a great place to hang out with your friends. We are coming back every year !!!!!!!!!!!! 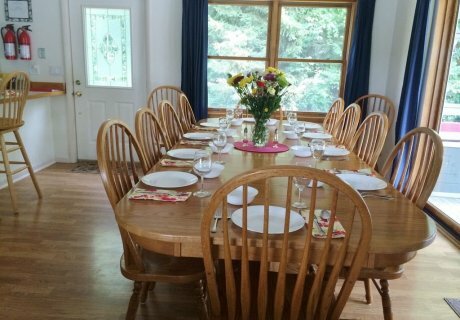 Our group does an annual wine trip to the Finger Lakes, in October 2011 we rent this house and it was perfect! We planned for 15 in atendance but ended up with 13, mostly couples. 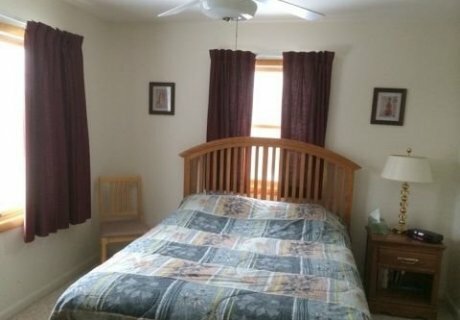 This property has a great number of bedrooms and living space for privacy. Plus a great person to bathroom ratio!! 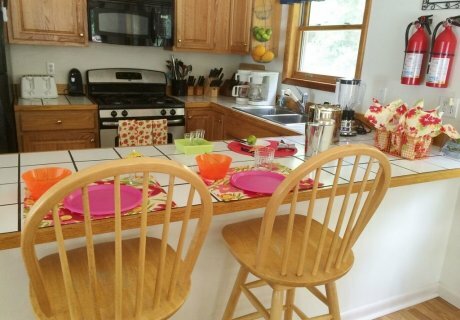 Other things we noticed having rented on all the lakes; there was ample seating, serving ware, utensils, pots and pans! it was great! there were also items in teh kitchen we didn't expect but loved having, like a crock pot! the location is goregous and even in the chillier fall weather we were toasty in this house! this property is definitely is on our return list!